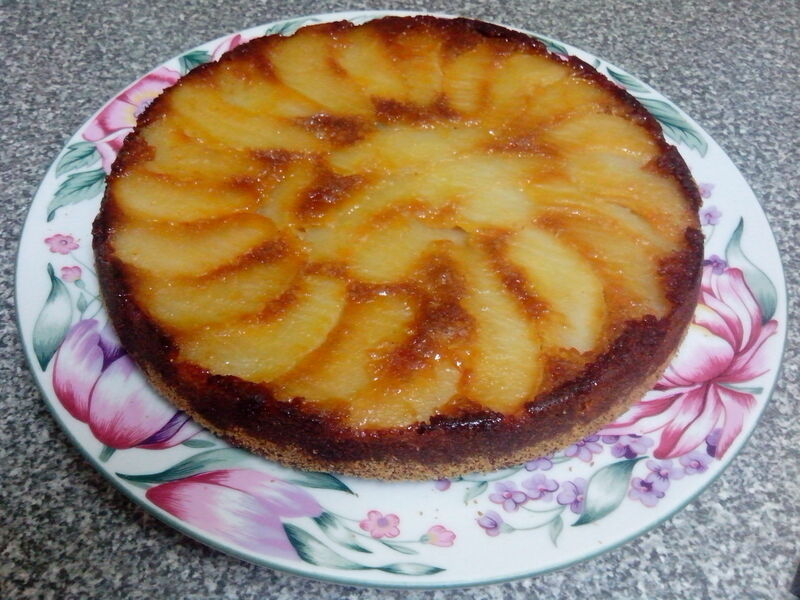 Pears are always a favourite and this simple recipe adds spices to the pears for an upside down cake that is perfect to have with a good cup of tea or coffee. The pears I have used are the flavoursome Corella pears which are perfumed and beautifully blushed. Arrange the pear slices in a circle over the base of the tin into the centre. Bake at 160 C fan forced, or 180 C conventional, for 35 minutes or until skewer comes out cleanly. Serve with double cream or yoghurt.